The Congregation for Laity Issues and Relations is responsible for facilitating and managing direct communication between lay people and the senior governance of the church – the Apostolic Council and the Office of the Patriarch – particularly in regard to the needs and issues of the laity. The Congregation consists of the Prefect and his or her staff – a group of clergy and lay people appointed to the Congregation by the Prefect. We refer to the governance structure of the church – its lay leaders, deacons, priests and bishops – as the church hierarchy. The commonly used word “hierarchy” is drawn from Greek and originates in sacred use – term hierarch, used in the post-Apostolic period to refer to bishops, can be translated as “president of the sacred rites” or high priest, but it can legitimately also mean sacred or holy ruler. The hierarchy, despite the often bureaucratic connotations of the term, ought be considered a style of governance constantly keeping the sacred in mind and the spiritual development of its people close to its heart. For Johannites, spiritual development arises equally from the nourishment of community life – fellowship, sacraments and service – and from the independence, creativity and sovereign autonomy of each individual person. Each of us is the lamp, oil and wick of the Sacred Flame. The interaction between a Johannite and the hierarchy must be one of respect, but never servitude. Good order in the church requires that we all abide by the agreements of church policy and canon law and that we offer each other the due respect of office – but this must never slide into any type of clerical managerialism or feudal submission. An empowered, engaged, devoted and vocal laity ensures that the necessity of order never sacrifices the centrality of autonomy. There ought to always be a channel of communication from a lay person via the church hierarchy to the local parish rector or narthex leader, from them to the regional bishop and then to the AC and the Patriarch. If this channel is functioning well, then the ideas, issues and contributions of lay people should be free to pass through the body of the church to where they ought to most naturally reside. 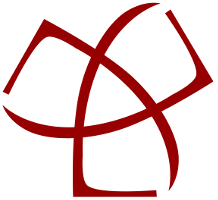 The Congregation for Laity Issues and Relations is arranged to handle situations where this indirect channel is not appropriate or not functioning – notably in situations of unresolvable dispute between a lay person and a local leader, but also when a lay person or group of lay people wishes to advance a proposal which involves one of the dicasteries – the church’s administrative bodies – or denominational regulations, either canon law or other policies. In general, lay people should feel free to contact the Congregation in any situation where they feel a matter to be important, but which is not able to be resolved by usual channels. The Congregation examines every situation individually and does its best to resolve the issue in keeping with its purpose. The Most Rev. Timothy Mansfield, Ph.D, Ep.Gn.